Though it makes fashion sense to have this, it becomes an issue when you must replace the battery or fix something inside. More often than not, today’s watches have no notch, raised lip, or pry area. Fortunately, most watches have a height difference between the backplate and the watch case. You can exploit this difference to open watches without back notches. For most watches, you will just need a six-inch woodworker’s clamp, a sharp penknife, a piece of cloth, and a table. You want a clamp that has padded ends, but any clap will do. You will just need to take more precautions to not break the watch. Also, a small kitchen knife will work if you do not have a razor blade. After wrapping the cloth around three sides of the watch, you can place it within the clamp on your table. You want the watch situated perpendicular to the clamp and table with the exposed side up. The watch should stay loose but firm as you tighten the clamp around it so you do not break the crystal. There should be just enough room so the watch back to come off. With the watch secured, you can then use the knife to pry off the backplate. You do this by inserting the edge against the break between the back and the case. With your fingers above the knife, gently push the knife down with the palm of your hand. With enough pressure, the back will separate from the case. When that happens, you can remove the watch from the clamp and use the knife to pry the back off the watch. The above method will work with most watches with or without a notch. However, you can still open a few watch styles even if you do not have a good knife around. Here are a few of these methods you could try to remove the back from your watch. On cheap, simple watches, your thumbnail is the perfect tool. The only real restriction is that the watch cannot have screws holding the back to the case. If the watch has an indentation for the hinge, you should focus your efforts on it. Otherwise, you can use any point on the back you can reach. Either way, you do this by pushing your nail into the crack and try to pry it open. The watch should rest in your other hand while you do this, and should never try harder than you need to avoid breaking your nail. With pressure and patience, the back should come off the watch. If the back does not come off easily, you should try another method. Otherwise, you could break both your thumb and the watch. 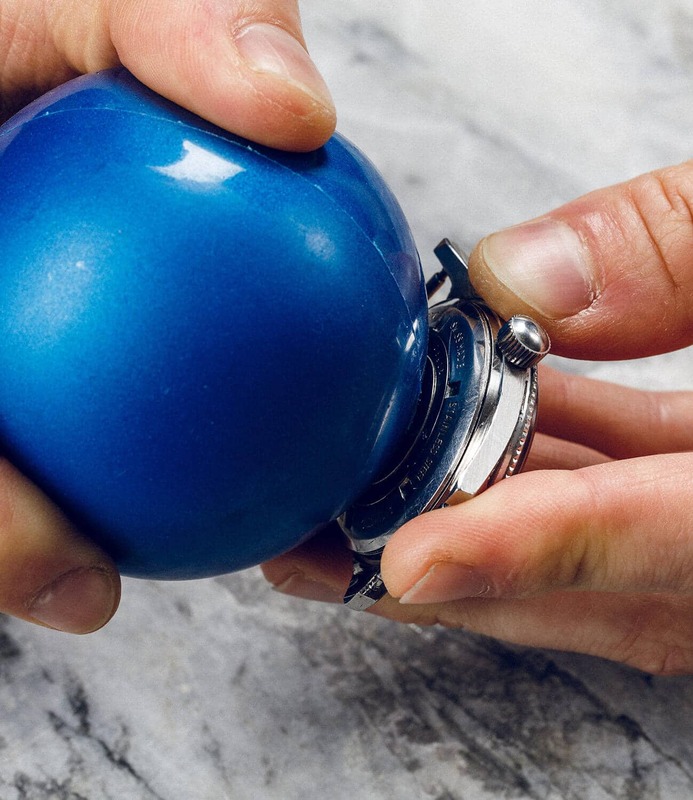 If the watch uses a screw-back design, you can just use a rubber ball to remove it. You will need a soft, pliable, tacky rubber ball. Most rubber balls can easily hold on to the back plate long enough for you to pry them off. You can even use stress back for this purpose. Along as the ball is not made from hard materials, it should work. You can even use duct tape wrapped around a tennis ball with the sticky side out if you cannot get a rubber ball. While you can do this with the watch in your hands, you will find placing the watch on a flat surface more comfortable and efficient. You can also use a towel as a cushion if you have an expensive or fragile watch. With the watch in place, you just press the ball firmly into the backplate, especially into the screws. You then apply enough pressure to move the ball against the backing to establish a strong grip. Applying this pressure in increments will avoid accidentally damaging the watch. Most watch models loosen when turned counterclockwise. Therefore, you can remove the back by firmly and quickly turning the ball in that direction. However, you should not use the ball to remove the back. You can safely use your finger to actually remove the back once it becomes loose enough. Rubber ball will then help you put the back plate back on the watch by pressing and turning it in the clockwise direction. If rubber balls do not provide enough grip, a good pair of scissors is a great alternative. Scissors often have small enough tips to reach your watch’s back screws and twist them as a specialized screwdriver would. Just choose scissors with blunt tips to avoid injuring yourself. You want to put the watch on a flat surface that will let you work safely with the scissors, using a towel to cushion the watch if needed. Once you locate the crack between the back and the case, push one of the tips of the open scissors into a screw crack as far as you can. With the end firmly inside the watch, you then turn the scissors without losing your grip. Once you’re done with one screw, you can just repeat the process with the other screws. You can then use the scissors to reverse the method to replace the backing. A good precision screwdriver serves as a good alternative if you cannot grip the scissors enough to apply the appropriate pressures or if you prefer to not use scissors on your watch. Most precision screwdrivers are small enough to unscrew watch backings without specialized tools. The above methods will help you remove the back of your watch. With the back off you can change the battery or do any troubleshooting. However, these methods may break the backplate, making it impossible to put it back on the watch. This is because your fingers cannot provide enough pressure. If this is the case you will need a case pressure tool designed for your watch. This can cost lots of money, and make these do-it-yourself methods worthless. 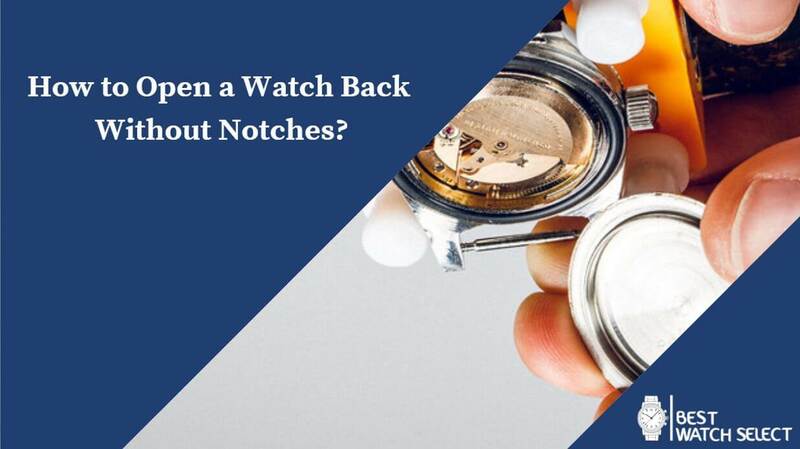 In these cases, your best bet is to just go to a watchmaker and have them repair the watch and replace the battery. Professional watchmakers will have the tools necessary to remove the back without damaging the watch. Regardless of the method you choose, you should have no problems removing the back of your watch. Some methods work better on some styles and not others. So, you should always do research before you try anything. That way, you can keep your watch as pristine as possible without damaging it or injuring yourself.